Above, stills from Pink Floyd’s set – two large 7120/4120 cabinets in view, five 760/460 cabinets, and a least three 4120/7120 amps – there are also amps and cabs out of picture. For more on Pink Floyd and further links, click here. “their music was to be a high spot in a festival combining chaos and disaster with high hopes and lofty ambition”. Excerpts are shown of: Captain Beefheart, The Nice, Donovan, The Move, Julie Driscoll, and The Samurai. 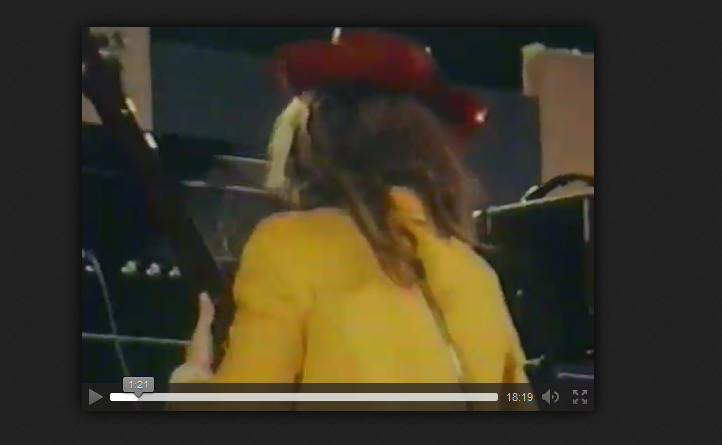 Carl Wayne of the The Move towards the end of the clip has more or less the last word, a pyrotechnic display having blown up the stage and some of the equipment. 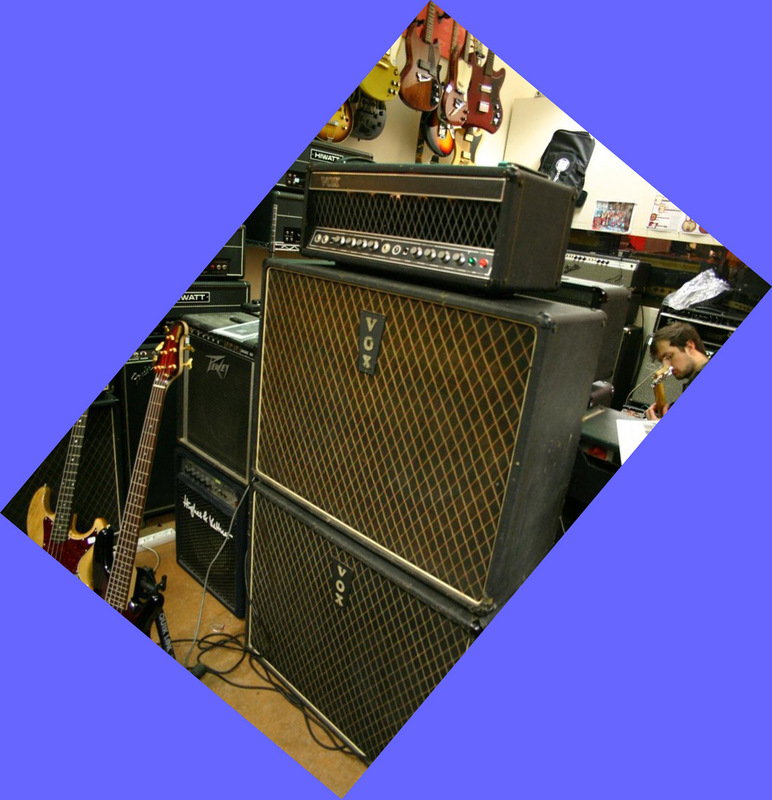 Below, a 4120 amp and two 460/760 cabs in a music shop in Italy. Perhaps survivors of the event above, though there is no way of telling – a striking thing nonetheless.